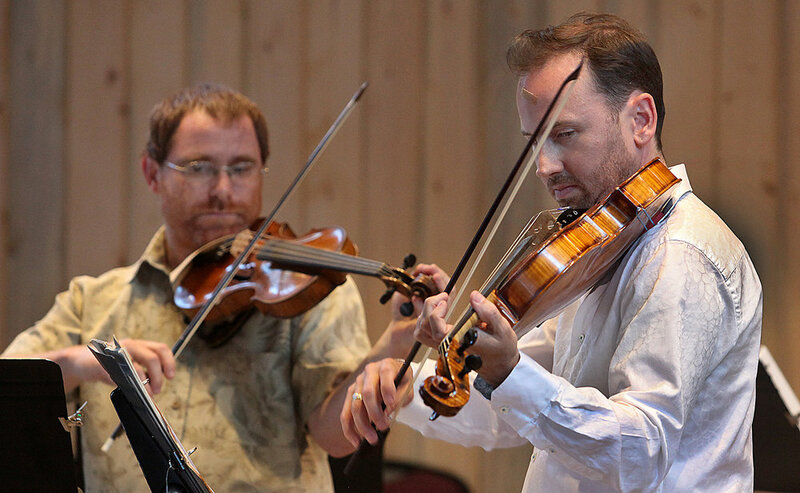 Surrounded by the beauty of the Clark Fork River running through Quinn’s Canyon, returning and new guests enjoy 3 evenings of classical music performed by renowned musicians. The concerts are performed in our outdoor pavilion offering guests fantastic mountain views. Come for 1, 2, or 3 nights. Each evening features a new concert! Lodging Packages begin at $206 and include Lodging, Evening Concert, use of the Hot Springs and Breakfast the next morning. Book 1, 2, or 3 Nights! All room and tax fees are included in the lodging rate. Check out this video to see highlights from past performances of the Montana Baroque Music Festival.